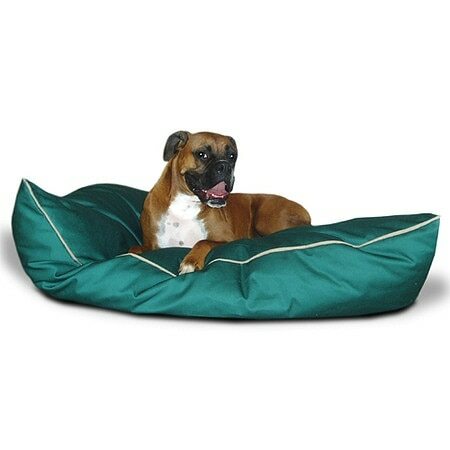 For the price-conscious pet owner who refuses to skimp on quality, a Medium 28" x 35" Super-Value Pet Dog Bed from Majestic Pet Products featuring plush cushioning and durable fabrics. The Poly-Cotton cover is stuffed with super high loft polyester fiber fil and is fully machine washable. Place the entire bed in a washer and tumble dry low heat (laundry mat washer and dryer recommended).The Medium is recommended for pets from 5 to 45 lbs.